Transform your skin instantly using the Innisfree Green Tea Skin Pack. This 3-in-1 moisture pack offers instant moisture and soothing care to dry skin with cooling sensation. 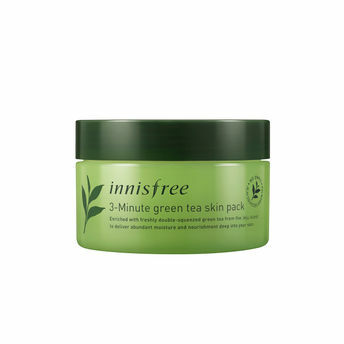 Infused with green tea ingredients (Containing 100 ppm of green tea water), this sleeping pack softly absorbs into the skin and keeps the skin fresh, hydrated and soft all day long.